USDA has designated 19 counties in Arkansas and 4 counties in Missouri as agricultural disaster areas due to damage and losses caused by armyworms that began April 1 and continues. The primary disaster areas in Arkansas: Boone, Fulton, Izard, Madison and Sharp counties. Contiguous disaster areas in Arkansas: Baxter, Benton, Carroll, Crawford, Franklin, Independence, Johnson, Lawrence, Marion, Newton, Randolph, Searcy, Stone and Washington counties. The disaster areas in Missouri: Howell, Oregon, Ozark and Taney counties. 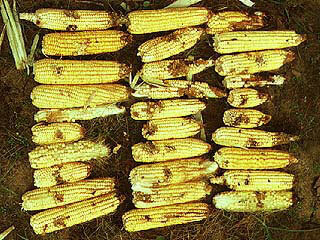 A county is designated an agricultural disaster area when the crop losses exceed 30 percent. Four stages of armyworm development. Image Source: NCSU. Adult– The true armyworm moth has grayish-brown forewings, each with a white spot near the center, and grayish-white hind wings. The wingspan averages 38.5 mm. Egg – The minute, greenish-white egg is globular in shape. Larva – The young armyworm is pale green. The mature larva is basically yellowish or brownish-green with a tan or greenish-brown head mottled with darker brown. The smooth, practically hairless body is marked with three dark longitudinal stripes, one along each side and one down the back. 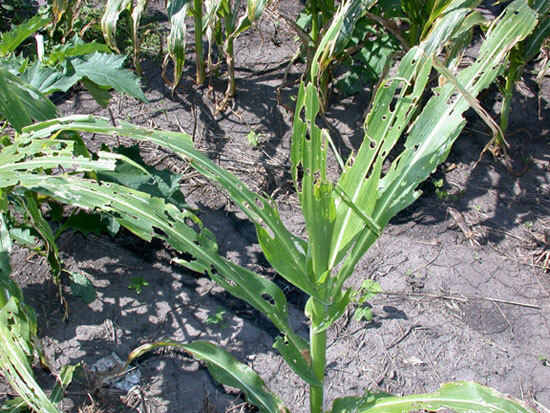 A full-grown armyworm is 30 to 35 mm long. Pupa – The reddish-brown 13-mm-long pupa darkens gradually until it is almost black. Vermont, USA. The Disaster President has declared 3 Vermont counties—Addison, Lamoille and Orleans—as major disaster areas due to severe storms, hail, flooding, high wind and a tornado that struck the region on May 29. The extreme weather event caused widespread damage to private property as well as public infrastructure. Vermont has now experienced extreme weather events destructive enough to warrant major disaster declarations for the sixth successive year. TS DEBBY, currently quasistationery, located about 210 miles SSE of the mouth of the Mississippi River, with winds of about 50MPH, and is expected to intensify into hurricane strength before slamming into Texas/Louisiana/Florida coasts. DEBBY could dump up to 10 inches of rain along the Gulf Coast from southern Louisiana to the Florida Panhandle. Tropical Storm Warnings and Watches have been issued for coastal waters of SE Louisiana and S Mississippi. Colorado. Waldo Canyon Fire, which flared up on Saturday, has grown to more than 2,000 acres, and is expected to remain active throughout the night. The fast-moving blaze near Colorado Springs has forced more than 5,000 people to flee their homes. The fire was zero percent contained, as of posting. “Cedar Heights Subdivision and Mountain Shadows south of Chuck Wagon are under mandatory evacuation. Boundaries are Rampart Range Road to the west and everything west of 30th and Centennial from Gateway Road north to Chuck Wagon. City of Manitou Springs and Crystal Park Subdivision as well as The north side of Hwy. 24 east from the County line to Waldo Canyon. There are no evacuation orders in place at this time for Mountain Shadows other than those south of Chuck Wagon Road. Garden of the Gods Park and Garden of the Gods Visitor Center are closed. Pikes Peak Hwy. is closed.” USFS reported. Colorado. Woodland Heights fire, another explosive blaze that ignited near the mountain community of Estes Park, has destroyed about two dozen structures. This entry was posted on June 24, 2012 at 1:21 am	and is filed under global deluge, Global Disaster watch, global disasters, global disasters 2012, global drought, global economy, global ghg emissions, global precipitation patterns, global Temperature Anomalies. Tagged: Addison, Arkansas disaster declaration, armyworms, Colorado Springs, Colorado wildfire, Disaster Declared in Vermont, Disaster President, Estes Park, Fall Armyworm, Lamoille, Mandatory Evacuation Orders, Manitou Springs, Missouri disaster declaration, Orleans county, Spodoptera frugiperda, Spodoptera frugiperda J.E. Smith, Tropical Storm DEBBY, TS DEBBY, Vermont disaster declaration, Waldo Canyon Fire, Woodland Heights fire. You can follow any responses to this entry through the RSS 2.0 feed. You can leave a response, or trackback from your own site.